In QStar Technologies we believe that curbing data growth, limiting storage requirements and drastically reducing maintenance costs and resources requires a radically new approach and innovative methods, a truly global vision in order to help businesses in tackling these challenges. The term software-defined storage (SDS) is commonly used in the industry today. 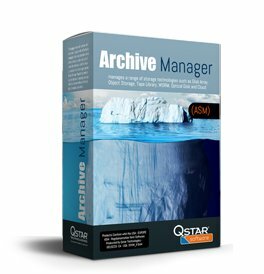 When QStar Technologies was developing the first archiving and data management storage systems software over 30 years ago, it had not yet been coined. QStar software solutions are totally independent of the underlying hardware and runs on commodity servers with Intel x86 processors and delivers massive cost savings and flexibility compared with traditional storage systems. Archive Storage Manager® (ASM) storage virtualization manages a range of storage technologies such as Object Storage, Cloud Storage (Private and Hybrid), Tape Libraries, WORM, Disk Array and Optical Disk Libraries to form an Efficient, Safe and Cost-Effective Active Archive environment by virtualizing differing storage technologies behind a file system. 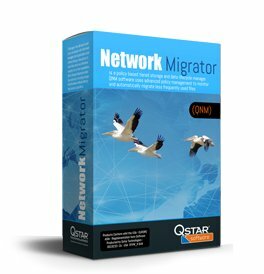 Network Migrator® (QNM) is a policy based tiered storage and data lifecycle manager. QNM software uses advanced policy management to monitor and automatically migrate, copy or move less frequently used files from primary storage to tiered storage or else to a central archive or Cloud Storage (Public, Private and Hybrid). Disaster Prevention solutions lets you drastically reduce the cost of setting up a disaster recovery site using architecture designed to guarantee data integrity and business continuity at a fraction of the cost of conventional architecture produced for such purposes. QStar Data Director and Archive Replicator solutions can support two, three or four archive targets. 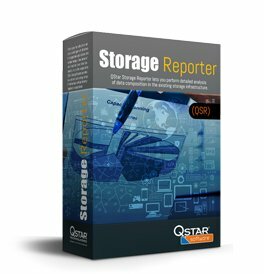 Storage Reporter® (QSR) helps organizations make more informed decisions for storage investments and storage utilization, by executing a complete professional analysis of their storage infrastructure, profiling storage volume usage on the basis of File Access, File Size, File Type, File Owner, and Storage Utilization. 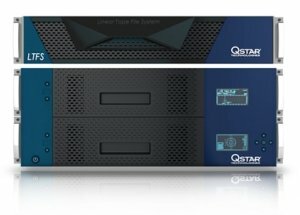 For customers who wish to purchase a complete solution, optimized, certified, and pre-configured in the factory, a full range of QStar products is available to ensure high scalability, durability, security, and energy efficiency at a compelling lower cost. All products can be installed in a few minutes at the customer’s premises. In the vast majority of cases all that is required is a simple IP address to start. QStar Cloud Gateway solution integrates seamlessly into existing infrastructures without changes for either the applications or users. Migrated or moved data continues to appear locally even when stored in the cloud. The simple data read/write approach is compatible with all existing applications. QStar Cloud Gateway can archive unlimited amounts of information securely and cost-effectively within any cloud – private, public or hybrid. 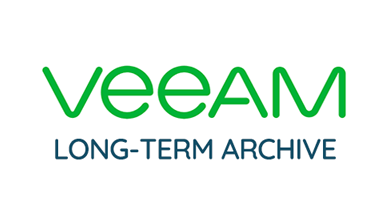 Today’s Cloud and Active Archive Tape-based technology provides the cheapest form of storage in terms of both capacity and running costs. 3D Flash Tape Cloud Gateway®, moves infrequently accessed data transparently from on-premise storage to the cloud and at the same time to the local Active Archive LTFS Tape Library as a NAS tier. This guarantees continuous read-write access even when a cloud connection is unavailable, without a moment’s interruption, data is always online! The QStar Kaleidos is an S3-compliant object storage platform that enables enterprises and service providers to build reliable, private, hybrid or public cloud storage environments that deliver reliability, security and unlimited scalability. An intelligent, fully distributed architecture scales dynamically from three nodes to thousands of nodes allowing the seamless addition of nodes as capacity requirements change from Terabytes to Exabytes. 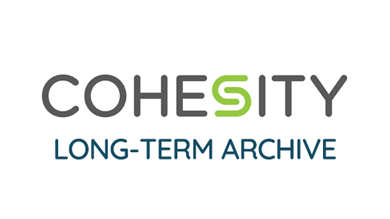 Today’s LTFS as NAS technology offers the most cost-effective long-term data archiving solution available on the market, with a TCO that can vary, depending on the capacity acquired, from 50 to 300% lower than comparable disk-based archiving systems! These are the facts, as distinct from the hype about tape peddled by disk vendors. Q-WORM technology can archive data in non-rewritable, non-erasable format. Using this method, recorded data can no longer be overwritten, modified or manipulated. The WORM protection process offered by QStar complies with the strictest national and international regulations covering sensitive data archiving, document management, electronic record storage and log file archiving. Comprehend existing data, which data is useful and which is not. 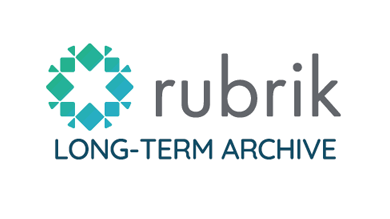 Migrate transparently your data to the appropriate storage tier using a combination of their attributes such as date created, modified, accessed, file owner, size, extension and much more. QStar solutions for High Performance Computing (HPC) allow you to implement massive storage hybrid systems at very competitive costs compared to traditional storage products available today. 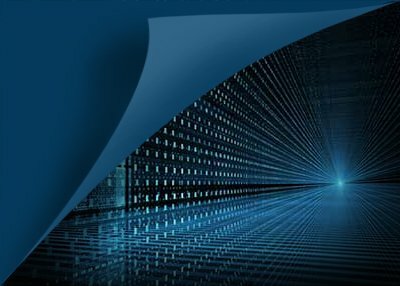 Our HPC storage solutions can help you manage the escalating data capacities and complexities created by data-intensive applications such as simulation and modeling. Combined with the most popular HPC file systems, QStar software solutions let you maximize productivity, improve storage efficiencies, and increase ROI. April 4th, 2018 10am CET QStar Technologies Inc, a leading global provider of enterprise-class data management and archive software, and VSN, a global technology company specialized in providing advanced software solutions for the broadcast and media sector, announced a partnership to offer the film and broadcast industry an integrated asset management solution to complement End-to-End workflows and broadcast solutions. VSN software solutions encompass everything from Asset Ingestion, News Production and Media and Business Process Management to Automation, Distribution, Second Screens and Business Intelligence, now adds a tightly integrated archive module, Archive Manager, from QStar Technologies, simplifying the workflow and presenting improved information about Media Assets no matter where they reside.